Prescription drug costs are rising all the time. How do I know my settlement will be enough to pay for the future costs of my medications? Some medical malpractice victims may require ongoing prescription drug therapy as a result of their injuries. For victims without health insurance, or who have high deductibles or co-pays, and paltry prescription drug coverage, receiving the medication they need can be extremely expensive. In some cases, victims may simply be unable to afford the medications they need. 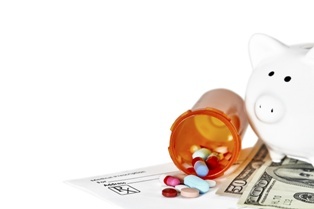 Should I Be Concerned About the Rising Costs of Prescription Medications? While the cost of future prescription drugs is factored into medical malpractice settlements, the prices of these drugs regularly rise by significant margins. In fact, prescription drug costs increased by a shocking 9.8 percent between May 2015 and May 2016, according to The Wall Street Journal, and 2016 marked the third consecutive year that prescription drug prices in the United States rose by approximately 10 percent. With that in mind, it is easy to understand why a medical malpractice victim might be concerned that whatever settlement they are offered won't account for the rising cost of prescription drugs. However, a knowledgeable personal injury attorney who has experience handling medical malpractice cases can make sure that his client's future prescription drug needs, including potential cost increases, are accounted for in his settlement. The attorney can also help ensure that his client is appropriately compensated for other related medical expenses, lost wages, pain and suffering, and other damages. If you were a victim of malpractice at the hands of a doctor, nurse, or other medical professional, you should not be forced to bear the costs of your injury on your own. The cost of medical visits, hospitalizations, and prescription drugs can add up quickly until they become insurmountable. The personal injury attorneys with the Inland Empire Law Group can help medical malpractice victims protect their right to collect a financial recovery. Contact the Inland Empire Law Group today at (888) 694-3529 to schedule a free initial consultation.